We are excited to announce the winners of the first annual Capturing Change Photography Contest! Dozens of photographers submitted more than 100 photographs, and contest judge Natalie Conn was impressed by the variety and complexity of the images. Conn reviewed the photographs anonymously and evaluated them based on creativity, composition, content, and artistic merit. 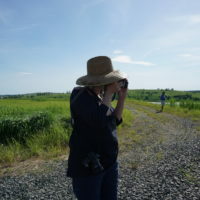 If you photographed Freshkills Park in 2018, you’re invited to submit your work to the first annual Capturing Change Photography Contest. 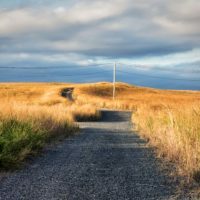 We’re looking for photographs that illustrate Freshkills Park’s unique engineered landscape from all angles. Submissions will be accepted from January 3, 2019 to February 14, 2019, with winners announced in early March. 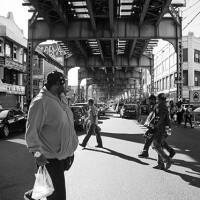 Earlier this year, Dani Alexander was selected as the winner of the Urban Wild Writer Residency. 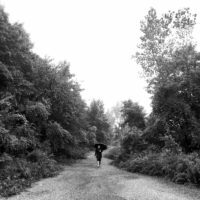 The residency is a collaboration between Urban Omnibus and Freshkills Park that seeks to bring a firsthand perspective to topics like the environment, technology, urban life, nature, and waste. This month, the Architectural League and Urban Omnibus will open Capturing Change: Freshkills Park, an exhibition of photographs documenting the evolution of the world’s largest landfill-to-park project. 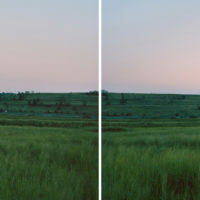 Produced by photographers participating in tours led by Freshkills Park staff, the images depict the transformation of the site from a 2,200-acre landfill into a unique urban ecosystem of carefully engineered rolling hills. 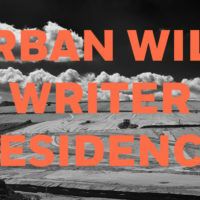 Announcing the Urban Wild Writer Residency Winner! Urban Omnibus, Freshkills Park, and the jury panel are pleased to announce the winner of the inaugural Urban Wild Writer Residency. This residency seeks to bring a first-hand perspective to topics that include the environment, technology, urban life, nature, and waste. This essay is published in Urban Omnibus. Of Freshkills Park’s 2,200 acres, half are now grasslands. 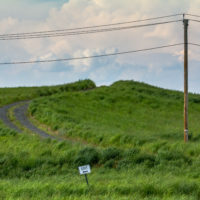 The Department of Sanitation (DSNY) created these meadows over the last twenty years as part of the landfill “cap.” Layers of soil, geotextiles, and a plastic geomembrane have sealed off the landfill mounds, and native plants have rooted in the topsoil to help prevent erosion. Applications are due May 1, 2018 at 11:59 PM. For full details and instructions, visit the Urban Omnibus page. 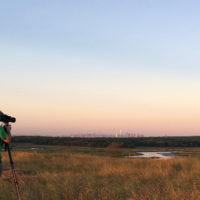 Urban Omnibus announces a new opportunity for an Urban Wild Writer in partnership with NYC Parks and the Freshkills Park Alliance. 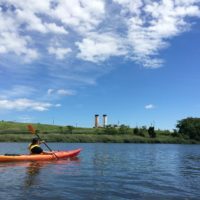 As spring arrives and New York City becomes greener and warmer, tours and events will offer unique opportunities to enjoy the outdoors at Freshkills Park! 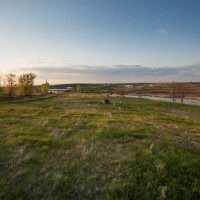 Whether kayaking through the creeks, photographing the landscape, or hiking and bicycling along miles of meadows, these programs invite the public to learn about the landfill-to-park project and explore sections of the park before they open. 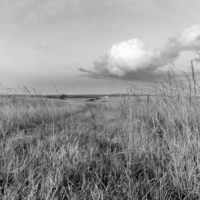 Artist Mandi Gavois’ solo show of photographs and sculpture at Galleri Thomas Wallner in Simris, Sweden, includes photographs of Freshkills Park. 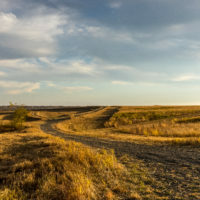 The show’s central panorama photograph of Freshkills is titled “With the ship comes the wreck,” which is also the title of the show. This calendar of public tours and events offers unique opportunities to visit normally closed sections of the landfill-to-park project. 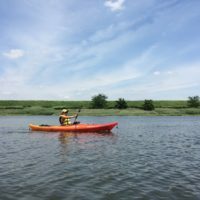 Whether kayaking through the creeks, photographing the landscape, or hiking and bicycling along miles of meadows, these free programs invite the public to learn about the project and enjoy large sections of the park before they open. 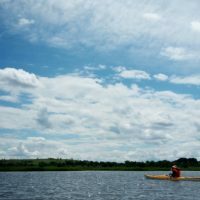 Since 2014, photographers have been documenting Freshkills Park’s changing landscape for an ongoing series called Capturing Change. The series aims to generate a community- and artist-driven archive of the site’s transition from landfill to public space. Several photographers have returned multiple times, compelled to explore the park over and over again. We’re excited to announce this year’s spring and early summer calendar of public programs at Freshkills Park! These tours and events offer unique opportunities to visit normally closed sections of the landfill-to-park project. 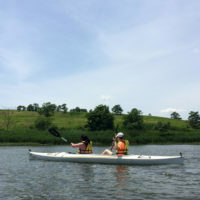 Whether kayaking through the creeks, photographing the landscape, or hiking and bicycling along miles of meadows, these free programs invite the public to learn about the project and enjoy large sections of the park before they open. The Design Trust for Public Space is now accepting submissions for the Future Culture Photo Urbanism Fellowship, in partnership with Staten Island Arts and the Alice Austen House, to focus on the cultural community of Staten Island’s North Shore in a time of transformation. Just as the sun is beginning to think about setting, Mariel Villeré meets with small groups of photographers in a parking lot outside of the Freshkills Park site. As the park’s Manager for Programs, Arts and Grants, she began inviting people to tour and document the changing landscape in 2014.